Finally,…a new blog post! Amazing! Unfortunately work is quite busy, so time at the telescope is limited. However I did have time to test out the new 102 triplet refractor on the comet last month.This was a 1 hour exposure with 1 min subs using a modded Canon EOS 600D. Comet processing is tricky as the comet travels at a different speed relative to the background stars. There are several comet processing techniques which are beyond the scope of this post. 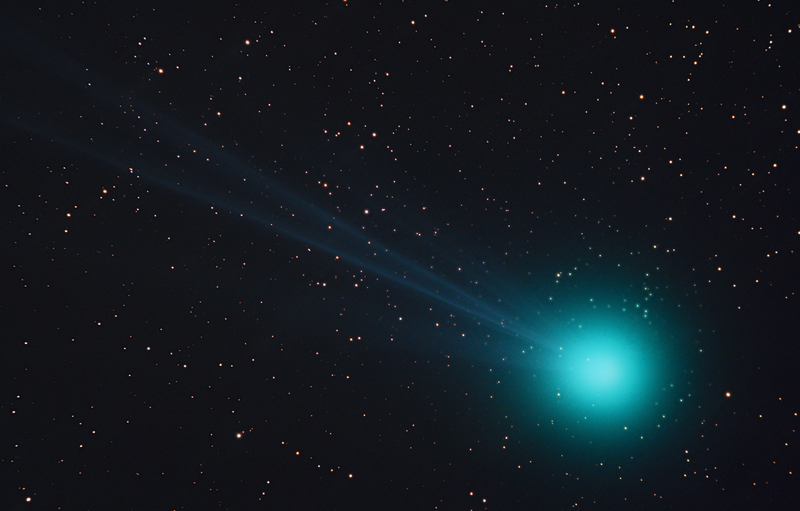 I used the algorithm in Pixinsight which has it’s own comet processing module. The basic idea is you stack your images first referencing the star images and then the comet image and combine the 2 if you want a fully processed comet on a background of normal looking stars. Please feel free to contact me if you would like references on this. If I have time I will outline the details in a later post. Anyway I thought the tail structure and color were fascinating!